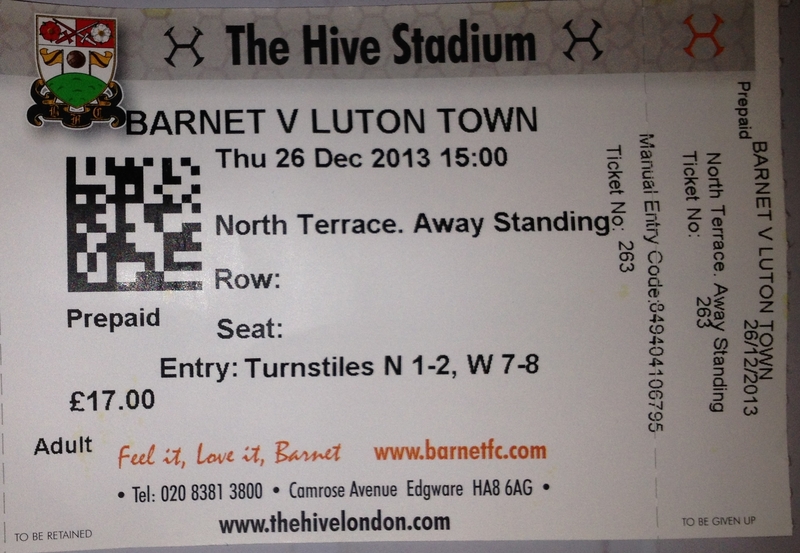 A good away trip to The Hive, Barnet’s new ground in Canons Park. 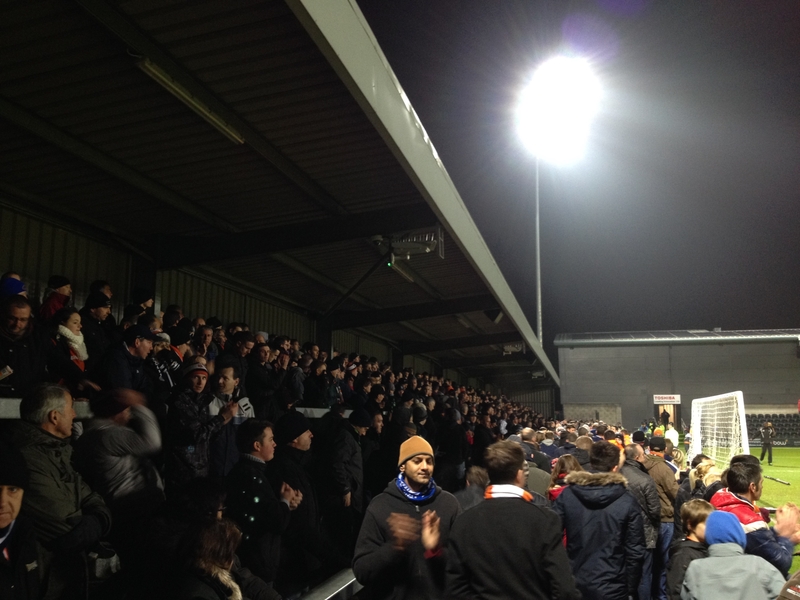 This was looking to be a comfortable away victory on Boxing Day until Jonathan Smith had his leg broken. We did not have such a good second half even though Barnet were down to 10 but we still managed to hold out for a deserved victory. 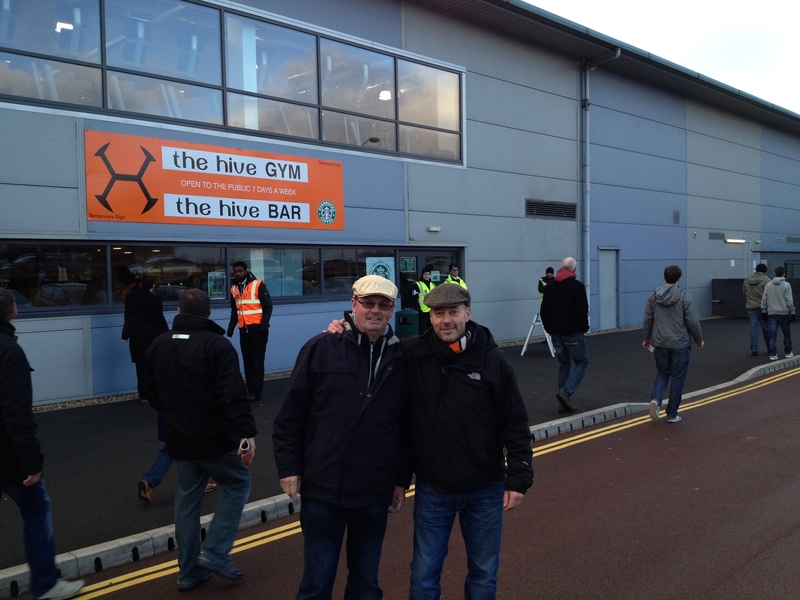 We went for a couple of pints in The Hive bar at the ground after the game where we spotted Edgar Davids the Barnet manager and former Dutch international. 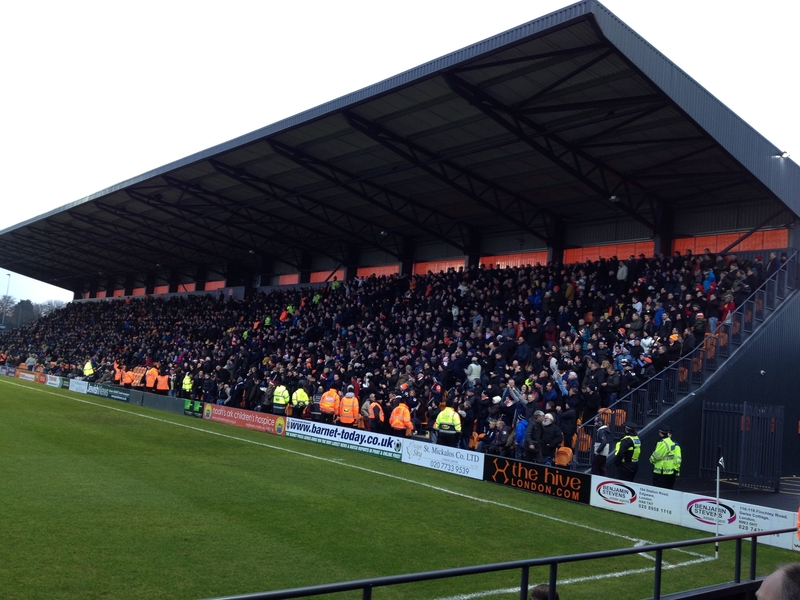 Luton had sold their full allocation of 1700 tickets for this game.